With March right around the corner, it means that it’s time to start thinking about your St. Patrick’s day plans. Whether you want to dress up and the hit dance floor with friends, or you’re looking to do something a little more casual like hit up different pubs in the area, Hollywood has something just for you. Enjoy these club crawl or pub crawl options in Downtown Los Angeles. The St. Patrick’s Day Club Crawl give you, and your friends access to some of the hottest clubs in Hollywood. Your all-access pass means that you won’t have to pay a cover fee for any of the clubs you visit with only little to no wait! This means that you get to less time in boring lines and more time dancing the night away. At the venues, you’ll receive certain perks such as a welcome shot, access to drink specials and even free drinks! While the sites may vary, some of the clubs that you might have access to include some of Hollywood’s most magnificent club locations such as Create, LURE, Couture, The Attic, Sound, Cosmo, Ohm, The Room and more. Tickets for the club crawl start at only $20! Click here for more information. 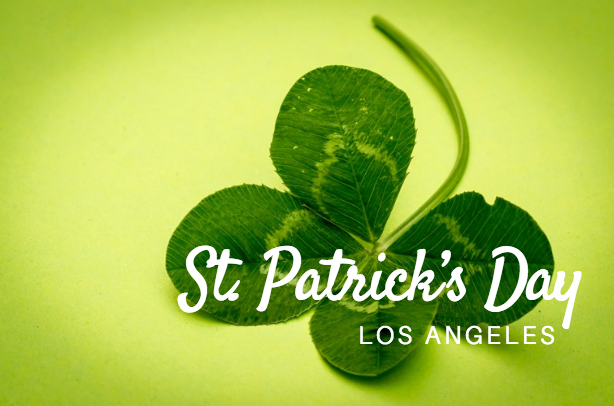 If a pub crawl is more your thing, than look no further than the St. Patrick’s Day Pub Crawl along the iconic streets of Hollywood. You’ll start at the historic Pig ‘n Whistle that has served Los Angeles since the 1920s. Also at the Pig ‘n Whistle, you will receive your map of venues participating in the St. Patrick’s day pub crawl. This will let you know which pubs nearby will offer you specials on drinks and more. After that, you’ll have access to over 20 different venues that are located along the Walk of Fame. When you participate in the pub crawl, you’ll enjoy drink specials such as $2 draft beers, $3 for mixed drinks and $4 for shots.